Finance may not be the most riveting subject, but it is still imperative to understand. With millennials showing less and less interest in financial education, finance and economics needs new packaging. The answer: CentSai. 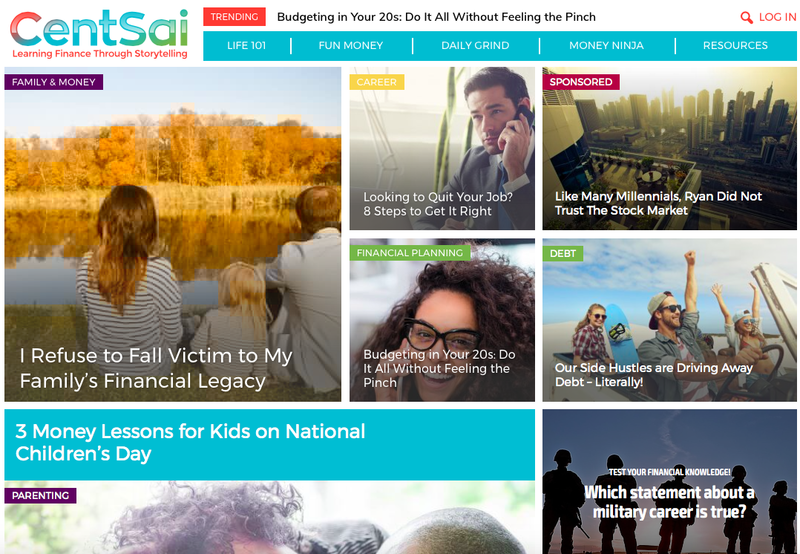 Centsai, the personal finance platform, makes financial education fun and easy to absorb through a variety of blog, games, articles, and video content. While finance may never be the sexiest field, it can still be easy to learn and financial literary for millennials becomes a reality. AlleyWatch chatted with Doria Lavagnino about the Startup and how it is helping generations to come. CentSai is a digital personal finance platform focused on making financial education easy and fun. We publish story-based content enriched with videos, articles, blogs, games and quizzes. Financial experts can join the platform and engage with our community, and participate in Q&A and discussions surrounding questions on day-to-day financial issues including savings, loans and wealth management. Individuals or groups in financial and economic education are also welcome to join our community. 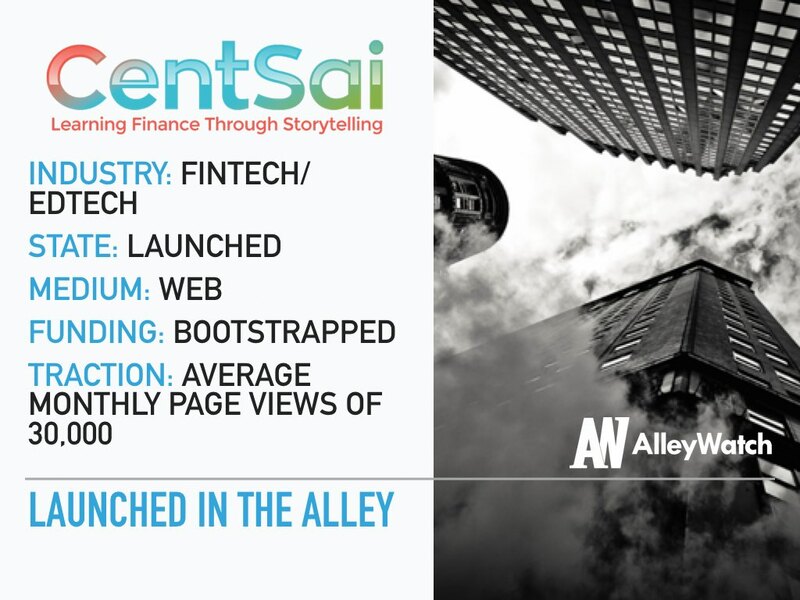 CentSai provides educational personal finance lessons through storytelling and interactive content. Each first person account breaks down the nuances of finance through real life experiences. We believe an easy way to understand financial concepts is to make it relatable, jargon free and entertaining, so our content centers on the personal successes and misadventures of others. Another part of the educational aspect is helping the CentSai community understand how they can apply their newfound knowledge using products and solutions that can help them achieve their financial goals. We’re very plugged into the FinTech space and we want to spread the word to our CentSai community about solutions that make it easy to do things like budget, save and invest. Through CentSai, we’re also providing platform to connect new and emerging financial brands to users who will benefit from their solutions. Recent data indicates that as many as 57 million millennials lack basic financial knowledge. Financial brands also spend roughly $36 billion a year in digital advertising, much of which is aimed at this generation. We saw an opportunity to help brands market to millennial customers with authenticity through personal storytelling. Throughout our platform, we illustrate how to use and benefit from financial products and services. We offer several creative ways for financial brands to market their products and services to the CentSai community, including sponsored content, affiliate marketing, content licensing and bespoke content. All of our content, including marketing and advertising, is aligned with our goal of improving the financial literacy and wellbeing of our community. We work only with brands that we believe in and that offer products and services that will benefit our community. My co-founder, Arindam Nag, and I both saw the drastic impact of the ‘fine print’ economy on every day people following the 2008 financial crisis. We wanted to create a better way to inform people, particularly young people, about how to improve and protect their finances. As former journalists, we naturally turned to storytelling as a means to inform and educate. We started with personal stories told through blogs, then added interactive content, such as podcasts, videos, calculators and quizzes. Why are you focusing on millennials as your target market? We chose to appeal to millennials because of the particular challenges that this generation faces. Student loan debt, a difficult job market, putting off home ownership, marriage or children–these are issues that broadly impact the economy and society, as well as individuals. Understanding money matters should not be difficult or time consuming, and we believe in providing the tools for young people to empower themselves financially. We also realized that there is a disconnect between financial brands and millennials, in particular. What resonates with millennials looks and feels vastly different than what resonates with their parents. Financial brands also contend with distrust on the part of millennials, many of whom witnessed their parents struggle with the effects of the financial crisis. This left a lasting impact. CentSai provides financial brands a means to reach and teach potential millennial customers about their solutions. We are honing the content that our users want and sharpening our focus. We will release some fascinating surveys on millennials and money, and continue to innovate ways to make financial content even more relatable and fun. We are also updating our experts section into a more social interactive platform that would allow financial advisors to be more accessible to our community. Test, test, then test again. 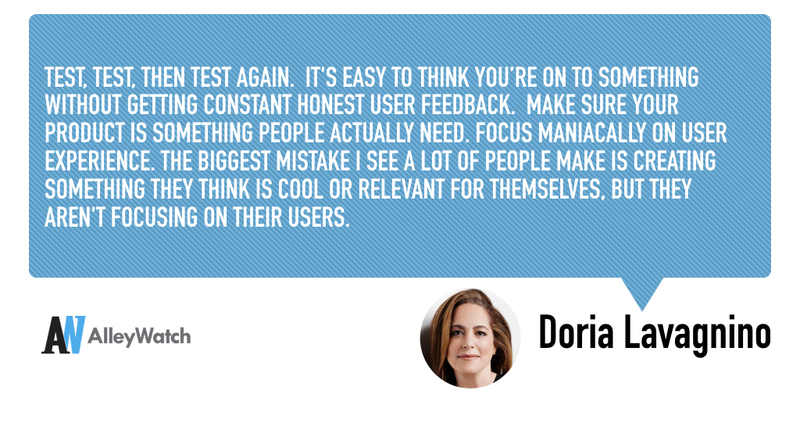 It’s easy to think you’re on to something without getting constant honest user feedback. Make sure your product is something people actually need. Focus maniacally on user experience. The biggest mistake I see a lot of people make is creating something they think is cool or relevant for themselves, but they aren’t focusing on their users. I’d like to meet Kathryn Minshew, founder of The Muse. I love what she had the vision to create. I read somewhere that when she was raising capital, she had to knock on so many doors because VCs weren’t sure she could make money with a content-driven model. I would also like to meet some senior members of the Department of New York Education and showcase our product and how useful and friendly it is for young people to relate to and learn about money. My cofounder, Arindam and I are based in New York City. We started work on CentSai out of our home in Brooklyn in 2015, but we’ve since moved our core team to an office in Techspace NoMad. Our writers, creatives and experts are based all over the U.S., which provides a diversity of perspectives for our content. I love value for money. Some Dumplings in Park Slope and Indian food cooked by Bangladeshi chefs on King’s Hghway. No restaurant in particular.